Come join us on July 6th for a 5K/10K in honor of our first responders, veterans, and those actively serving in our military! March 4 Heroes is a way to fundraise and celebrate our nation's veterans, active members of the armed forces, and first responders. This is to celebrate our Service Members, Veterans, First Responders and their Famlites as we bring our community together! While running the course, you will see the beautiful landscape that Reno has to offer. The course will be along Rattlesnake mountain and will offer challenges to every stage of runner/walker. We invite you to challenge yourself or take in the scenery along the way! After the run, all participants will be invited to stay for food, drinks, and lots of fun!!! Walker/Runners welcome!!! Make this a competitive run for yourself or a nice stroll up Alexander Lake Road! This course and event is also stroller/wheelchair accessible so please join us for the fun!!! Packet pickup will be Friday July 5th from 5-7 p.m. at Code Coffee. You may pickup and register on race day morning, too. Every pre-registered participate will receive a cool swag gift!! 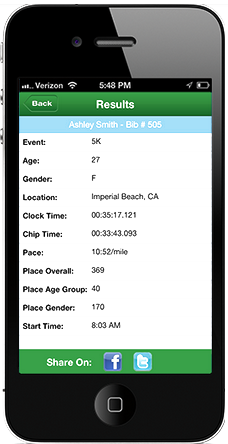 Remember to download the free It’s Your Race app so you can get your race results, news and info about this and future races. You can also print off your finisher's certificate from the site and connect with your friends through social media as you register.